You are here: Home » News & Updates » Episode 4 Release Party! We’re super excited to announce our release of episode 4, featuring the Bissell Brothers and The Thirsty Pig! 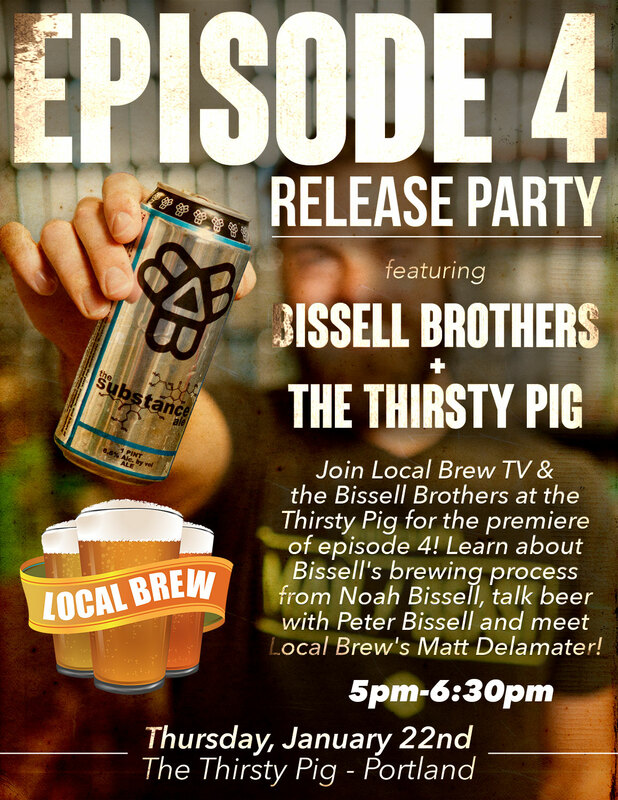 Join us Thursday, January 22nd at the The Thirsty Pig to watch episode 4 with the Bissell Brothers! Grab a Substance with Matt Delamater and our crew! Wolf down one of the Pig’s handmade sausages with Sniff! Viewings start at 5pm and run until 6:30pm. See you there!